so : /usr/bin/rawtherapee did the trick. 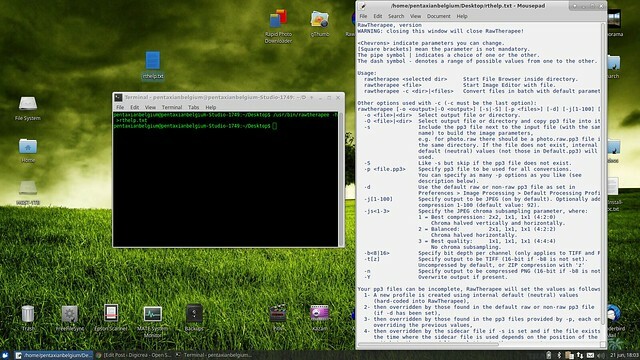 You can try and see if it works on your computer in a terminal window. The script is now ready to run. (of course if you have regular distribution, not home made one). Why is it working? Because system by default is looking trough few directories trying to find command you provided (/bin, /sbin/, /usr/bin, /usr/sbin, /usr/local/bin, /usr/local/sbin – that’s where binary programs are). Any meanwhile, open your system menu, go to Graphics section and there should be rawthreapee – just click (it works if you installed rawtherapee in ‘normal’ way, i mean from repository or PPA). all help for Linux newbies like me is welcome. The pleasure is mine. 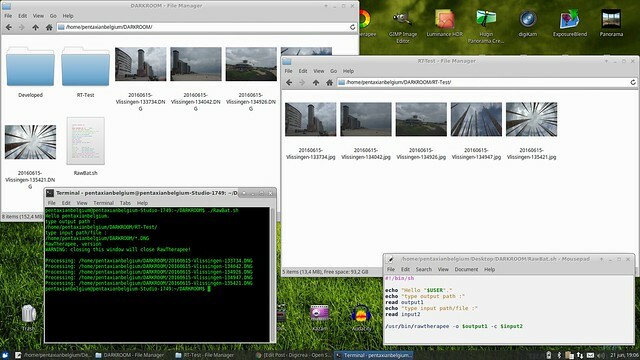 I glad to see that photographers are able to change workflow and software and learn something new – especially Linux.